Slice jalapeños into thin slices and very roughly chop the red pepper. 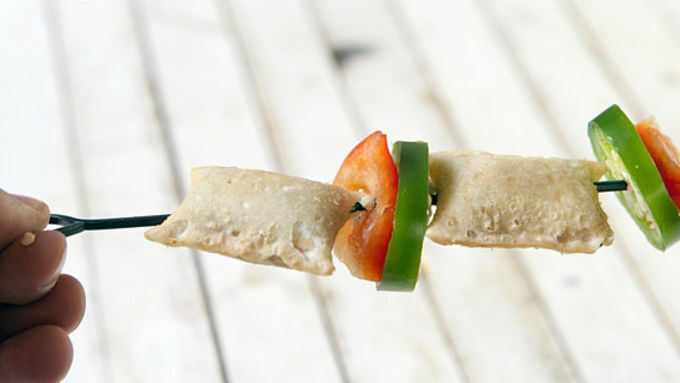 Use sturdy, metal skewers and spear a frozen pizza roll lengthwise, followed by a slice each of red pepper and jalapeño. Repeat, adding 5 pizza rolls to each skewer. Repeat with remaining skewers. Heat grill to medium and clean well with a wire brush. Place kabobs directly on hot grill, cover, and let cook for 4-5 minutes. Gently flip kabobs with tongs and cook for another 3-4 minutes. 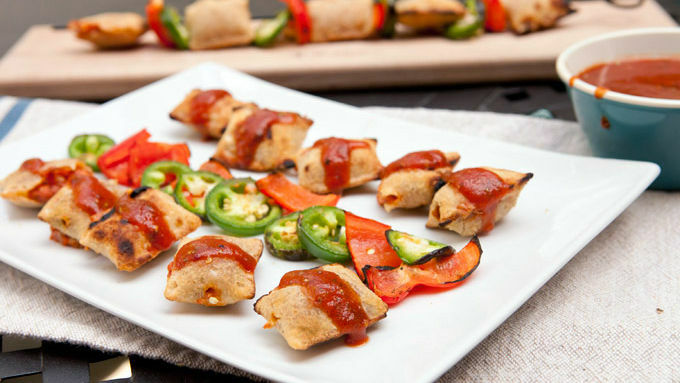 Slide pizza rolls and peppers off kabobs and serve with pizza sauce. Let the pizza rolls cool briefly before eating, as they will be really hot. 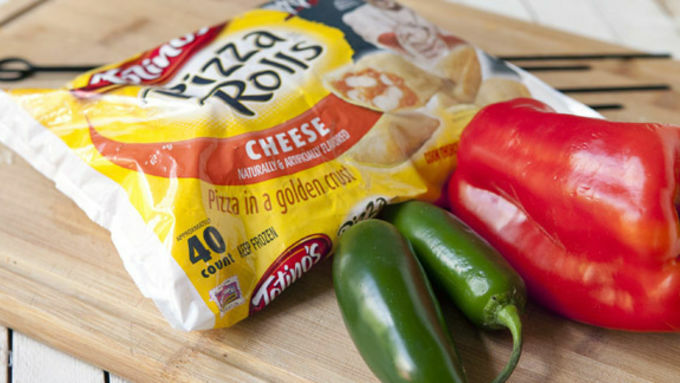 Bet you didn't know you can grill pizza rolls! 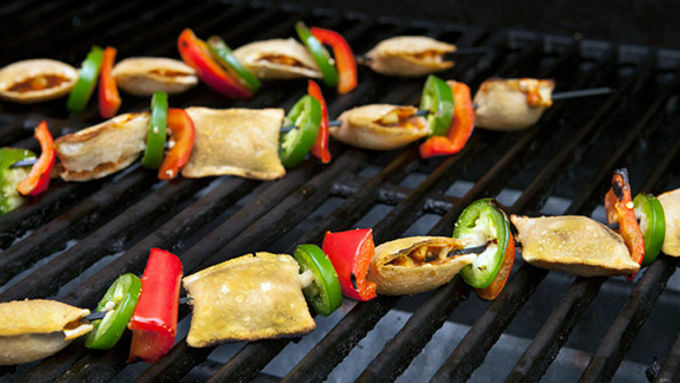 Skewer some pizza rolls and veggies, and you've got a great excuse to grill out tonight! When one is hungry, pizza is always a good option. Bite-sized pizza? Some might say even better. When you look at the back of a Totino’s bag of pizza rolls, it has a bunch of different preparation methods. One method that is definitely not on the bag is to grill these suckers. 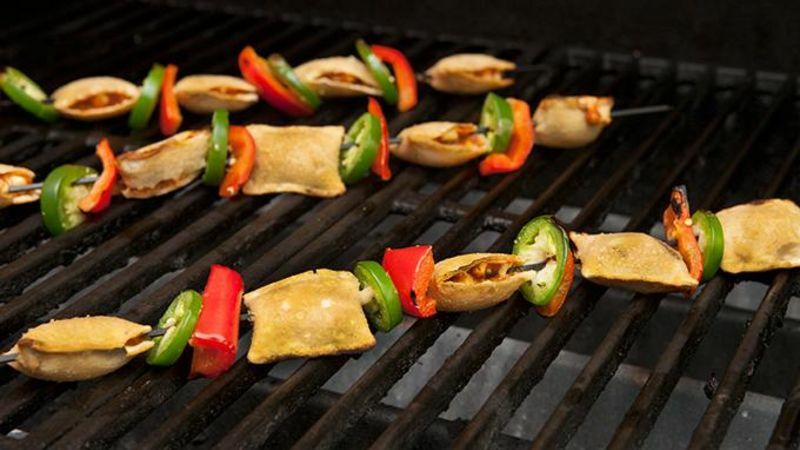 While you absolutely can just toss them directly on a hot grill with great success, I prefer to make little Grilled Pizza Roll Kabobs with mine.